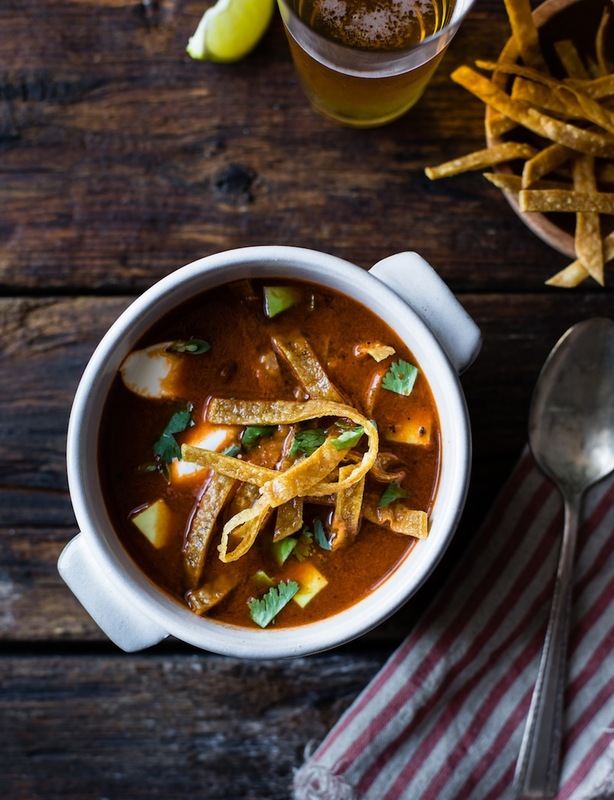 This beloved Mexican soup is light, yet offers all the comfort of hearty south-of-the-border fare. It also is naturally gluten-free. While you can substitute GF tortilla chips, homemade fried tortilla strips are excellent—best the day they’re made and easily stored for up to three days in an airtight container. the heat to medium-low and cook, stirring occasionally, until translucent and softened, 10 to 15 minutes. Stir in the cumin and smoked paprika and cook for 1 minute. Add the bay leaf, chiles, tomatoes, chicken stock, and 1 teaspoon salt and bring to a boil. Lower the heat and simmer for 30 minutes. to 365°F or until bubbles form and begin to float up around the handle of a wooden spoon when dipped into the oil. Working in batches, fry the tortilla strips until crisp, 2 to 3 minutes. Drain on paper towels and season to taste with salt. Using an immersion blender or in batches in a blender, carefully puree the hot soup until smooth. Season to taste with salt and cayenne pepper. Transfer the soup to bowls, garnish with a spoonful of sour cream and avocado, a sprinkle of marjoram, and a handful of tortilla strips.